With the current connection speeds and the revolution led by cloud storage systems, listening to online music has improved. 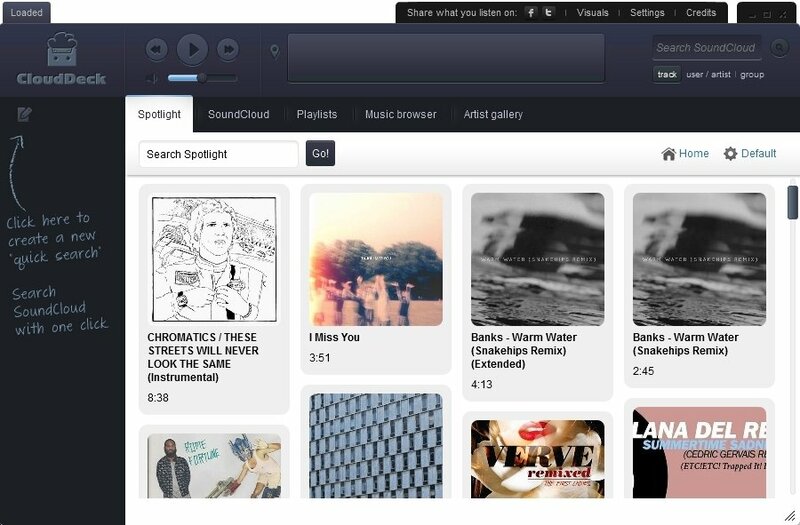 With CloudDeck you will have a music streaming service that combines searches on music blogs, browsing on SoundCloud and the creation of playlists on the cloud. CloudDeck is trying to get rid of the difficulties that often arise when it comes to listening to music on an ordinary browser. Add-on failures or trouble to find sources are common problems that CloudDeck avoids. 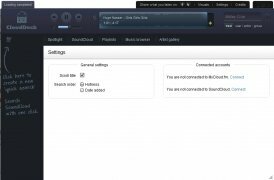 You will have an unlimited amount of music, always up to date and without restriction problems in any country. 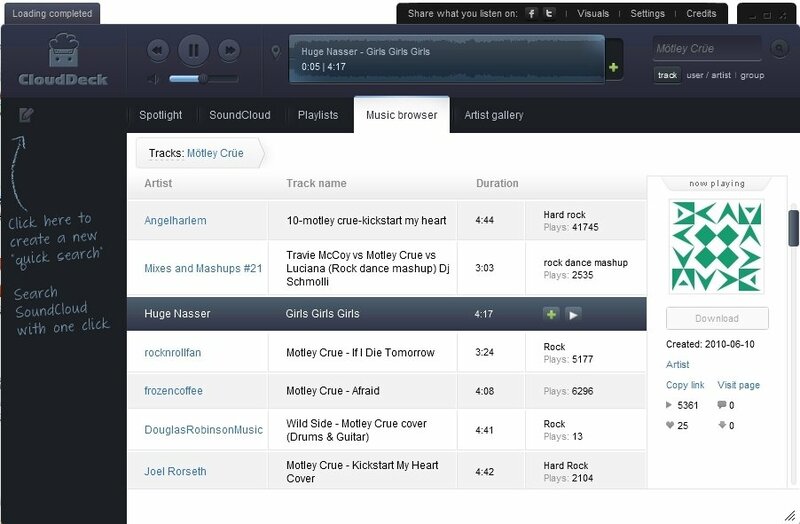 Make the most of the cloud to play music. Create music lists and check the search history. 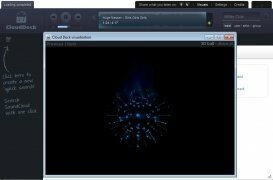 Synchronization of your CloudDeck account on any computer. Organization of artists by galleries. 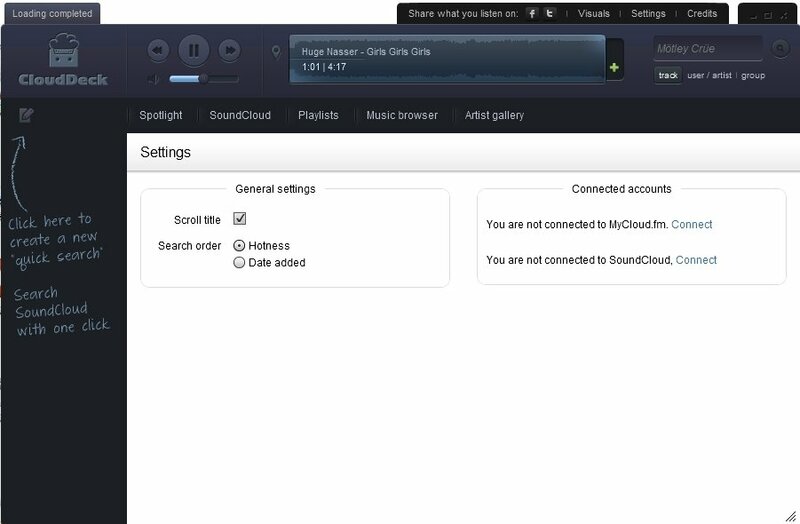 Download music whenever this option is enabled. Animations and visual effects to the rhythm of the music. 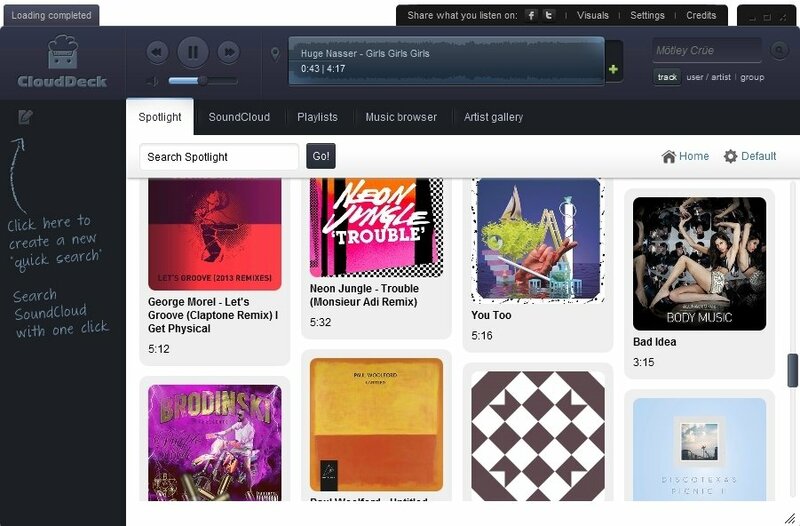 Download CloudDeck for free and make the most of the cloud in terms of music playback with less obstacles than with usual browsers.